This post was sponsored by Skinnygirl as part of an Influencer Activation. I received complimentary products to facilitate my review. I’m not a naturally thin person. I don’t naturally eat like a bird nor do I have the metabolism of a race horse. I love food and it, sadly, loves my thighs. I’ve said it over and over on this blog, I keep my diet and waistline in check by planning. I try to surround myself with food and drinks that won’t derail me. I consider myself a busy person and if I don’t plan my meals and snacks I eat things I shouldn’t and usually to much. But when I plan my eating is spot on. I have been a H-U-G-E fan of Skinnygirl products since the launch of the Skinnygirl Margarita. A low calorie margarita that didn’t taste like garbage….GENIUS!!!! Hats off Bethenny Frankel, hats off. Needless to say it was love at first sip. Since then I have tried many Skinnygirl product and they have never disappointed (FYI…the Salt and Lime popcorn..THE BOMB with a Skinnygirl Watermelon Margarita and an episode of Real Housewives of New York) . 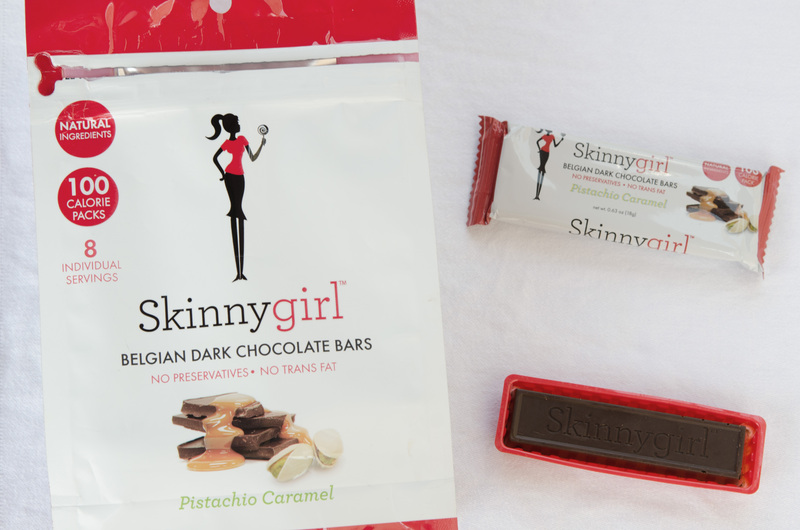 I love the Skinnygirl brand concept, high quality products that allow for healthy indulgences. Yes…indulgences because at the end of the day it’s all about portion controls. Needless to say when I was offered the opportunity to try Bethenny Frankel’s new line of Sparklers, Liquid Water Enhancers, chocolates, mints and coffee I jumped at the opportunity. I drink a lot of water, but every so often you want a flavored beverage. 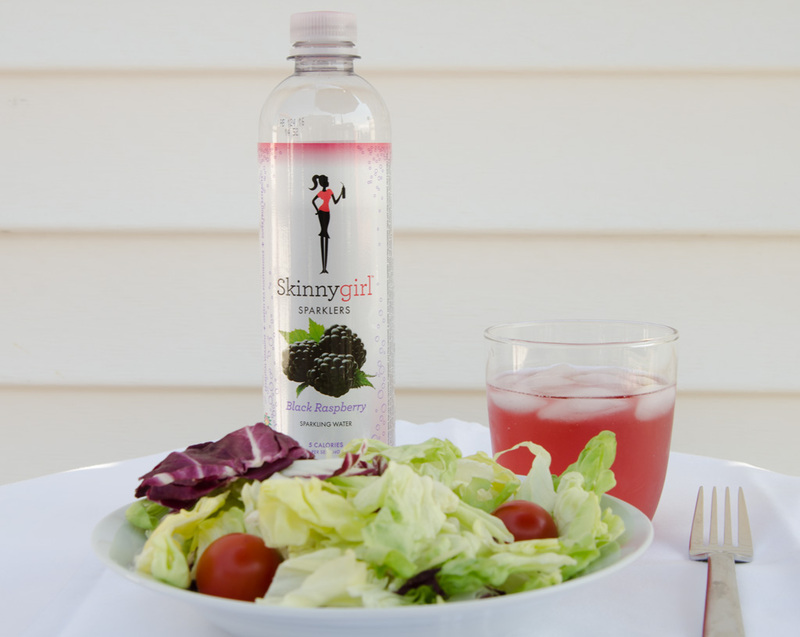 The Skinnygirl Sparkles are my go to choice sweetened with all natural fruit juices, honey, cane sugar and Sucralose. They only have 5 calories and come in great flavors. I love the black raspberry. (another FYI, it pair really well with my Spinach Salad for a light flavorful lunch). Nothing is worse than dragon breath. Nothing is worse than a bunch of mints randomly running amuck in the bottom of your purse. Skinnygirl mints solve both of those problems. I have to say the packing on Skinnygirl products is amazing. The mints are probably my favorite not only do they come in a little metal container they have a dispensing “thing” that keeps the mints from all falling out at once. LOVE. I’m not sure I need to say much more here than DELICIOUS! 100 calories of heavenly chocolate. 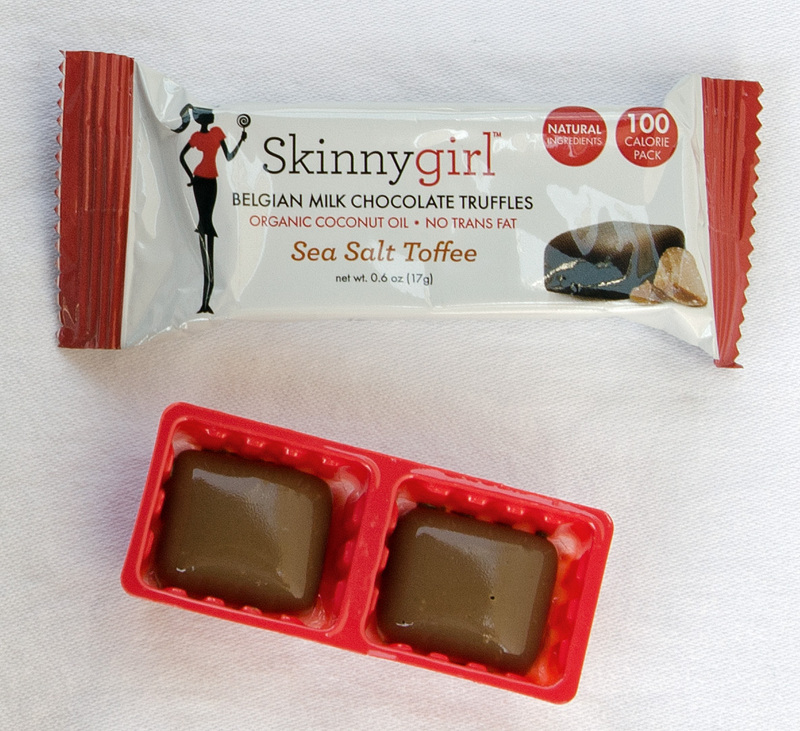 Skinnygirl chocolate is natural, made with organic coconut oil, have no preservatives and no trans fat. The portion of the Chocolate Pistachio Caramel is substantial. You feel like you’re getting more than just taste. And how cute is that candy bar??? I’m a total coffee snob and I have to say not bad Skinnygirl, not bad. Skinnygirl coffee ethically grown and 100% Rainforest Alliance Certified. The coffee is sourced farms that are rigorously managed to a set of environmental, social and economic criteria designed to conserve wildlife and safeguard soils and waterway. Single Serve Cups of the Half Caff Medium Roast have less caffeine than regular coffee making it an exceptional midday coffee choice. 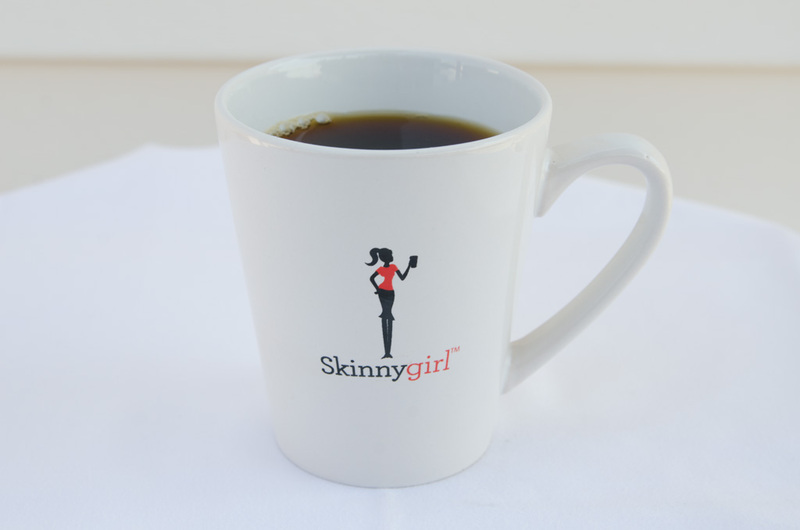 Skinnygirl also offers and American Espresso Roast if you looking for a big pick-me-up. Needless today, the new Skinnygirl product I tried were all awesome. They taste fantastic and I’m a huge fan. Find out where Skinnygirl is sold HERE.